We will not sell, rent, distribute or otherwise share personal information provided to us online, including e-mail address, to or with anyone. Your privacy is important to us. To better protect your privacy we provide this notice explaining our online information practices and the choices you can make about the way your information is collected and used. Should you have other questions or concerns about these privacy policies please call us at 1-800-836-9071 or email Eastway@rochester.rr.com. Please refrain from sending private information other than what may be available through White Pages or any other printed, electronic or on-line directories. (examples: Social Security number or Credit Card information). 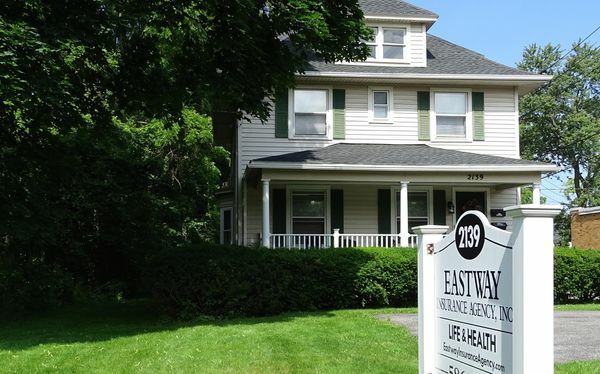 We use the information you provide about yourself only to complete the request for Eastway Insurance Agency Inc. or a Licensed Independant Agent to contact you. We do not share this information with outside parties except to the extent necessary to complete that request. We use return email addresses to answer the email we receive. Such addresses are not used for any other purpose and are not shared with outside parties. We use non-identifying and aggregate information to better design our website and to share with advertisers. For example, we may tell an advertiser that X number of individuals visited a certain area on our website, or that Y number of men and Z number of women filled out our registration form, but we would not disclose anything that could be used to identify those individuals. Finally, we never use, share, rent or sell the personally identifiable information provided to us online in ways unrelated to the ones described above. You can access all your personally identifiable information that we collect online and maintain by contacting us at the number or email listed below. We use this procedure to better safeguard your information. You can correct factual errors in your personally identifiable information by sending us a request that credibly shows error. To protect your privacy and security, we will also take reasonable steps to verify your identity before granting access or making corrections. Links to other websites are made available as a convenience to the subscriber. Eastway Insurance Agency, Inc. does not endorse information present on third-party websites, and the existence of a link does not imply any affiliation. Should you have other questions or concerns about these privacy policies, please call us at 1-800-836-9071 or email Eastway@rochester.rr.com.